(12:19) (Shotgun) N.Foles pass deep middle INTERCEPTED by C.Houston at 50. C.Houston to PHI 20 for 30 yards (T.Herremans). Published: Dec. 8, 2013 at 02:06 p.m.
Philadelphia Eagles quarterback Nick Foles has his pass intercepted by Detroit Lions cornerback Chris Houston and returned 30 yards. Published: Sept. 23, 2013 at 05:00 a.m.
(9:07) R.Griffin pass short right intended for P.Garcon INTERCEPTED by C.Houston [W.Young] at DET 13. C.Houston to DET 17 for 4 yards (P.Garcon). 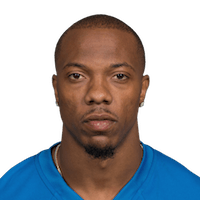 Published: Sept. 22, 2013 at 02:47 p.m.
Detroit Lions cornerback Chris Houston intercepts the pass of Washington Redskins quarterback Robert Griffin III and returns it 4 yards.